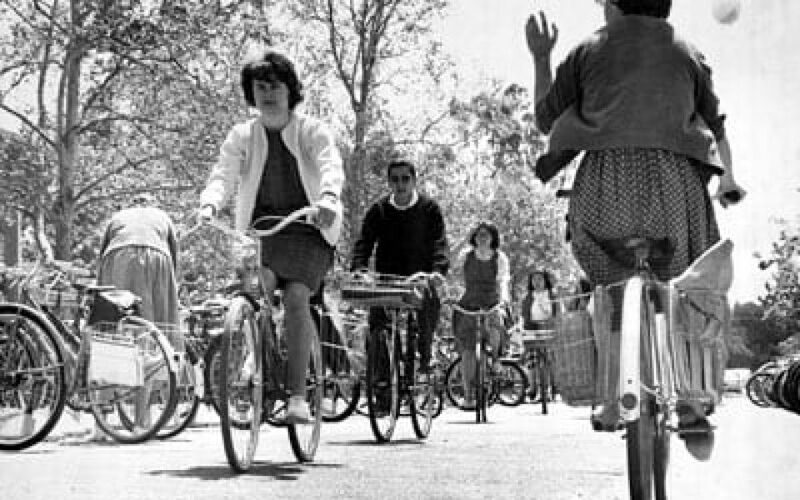 Since May is Bike Month, here is a sampling of some of our collections that focus on bicycles and bicycling. The William Clauson Cycling Collection contains bicycling books, journals, trade publications and directories, racing programs, rule books, posters, comics and other materials relating to bicycling. The Matthew Sarna-Wojcicki Collection contains periodicals that focus on bicycles and cycling. Titles include: Velo-News , Winning , Berkeley Bike Club Newsletter/Pneusletter , Cycle , Cycling USA , NCNCA (Northern California/Nevada Cycling Association) Newsletter , and NORBA News: official publication of the National Off-Road Bicycle Association . Dale Lott (1933-2004), Professor of Psychology and Wildlife and Fisheries Biology, worked on the design of bicycle paths in Davis. His Papers contain some materials related to the usage, design, and evaluation of bicycle lanes, as well as 35mm slides of bicycle lanes. 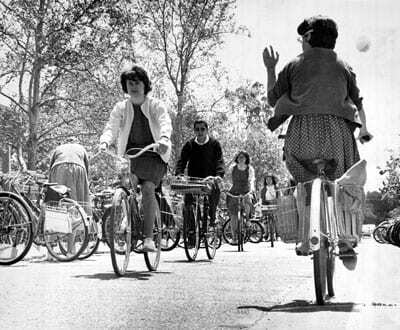 Our University Archives Photographs contain images of bicycles and bicyclists on campus. Below is one image from that group.